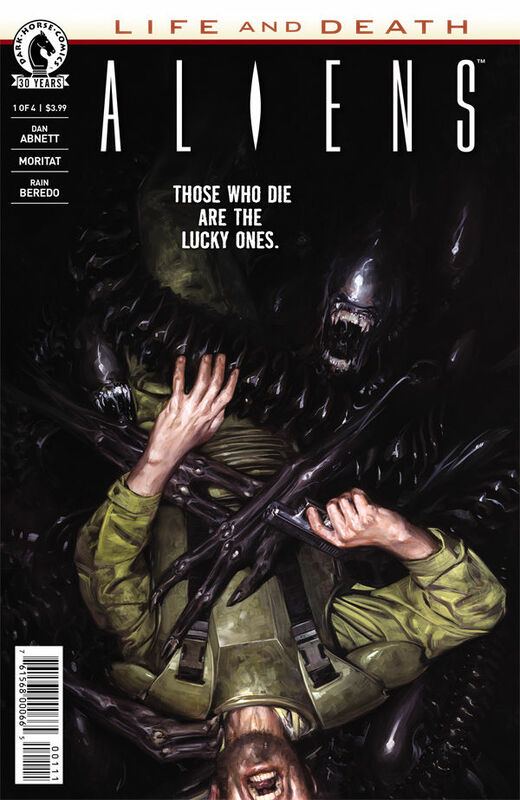 Aliens: Life and Death #1 kick starts a new chapter in the Life and Death series as it moves on to the aliens. The human survivors are hanging on by threads as everything goes to chaos. However, they manage to survive. That said, this series could be hanging on by a thread itself. For his part, Dan Abnett did an outstanding job in this issue. The dialog and the story were spot on. He not only channeled the vibe of the movies, but conveyed tension and drama as the survivors battled the aliens. As people started dying, you felt the intensity of the situation. The story was so good that it actually managed to transcend the artwork. Unfortunately, that’s where the comic falls apart. 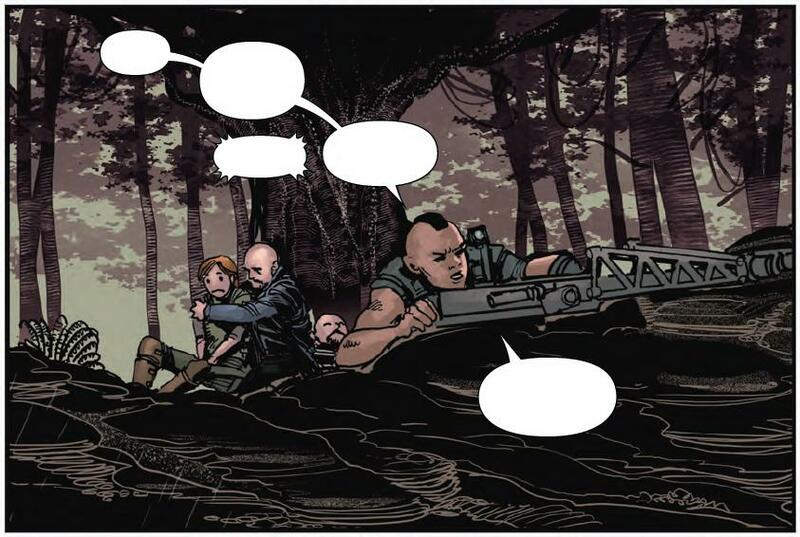 This is by far some of the worst artwork I’ve ever seen in a Dark Horse comic. Seriously, if you were to have shown me some of the panels in this issue, I would have sworn they were fan art. 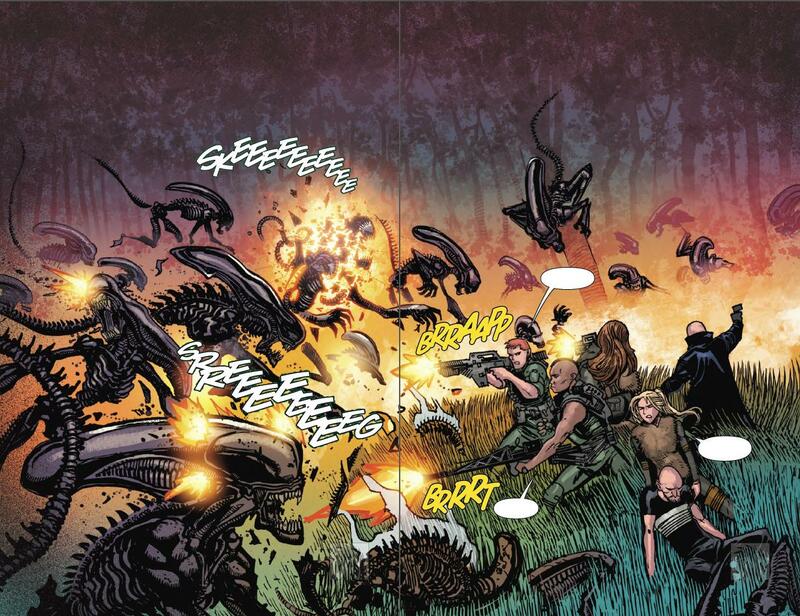 I’m actually shocked that Dark Horse went forward with this level of artwork for a main title like Aliens. I’m not sure what the circumstances were, but this could definitely kill the series and the readership. If you’ve been following the series so far, this issue could very well break you. On one hand, the story is great. Dan Abnett is still at the top of his game and it’s hard to stop reading the series because of that. On the other hand, this artwork is horrendous and serves as a major roadblock to the justification of spending money on this issue. If the rest of the four issues for this art are going to look this bad, I’d recommend to readers to just go to your local comic shop and read this one while you’re in there. Even with a great story, the quality of the artwork is so bad that I have to give this one a one out of five metal bikinis.